Chambray on chambray, all day! 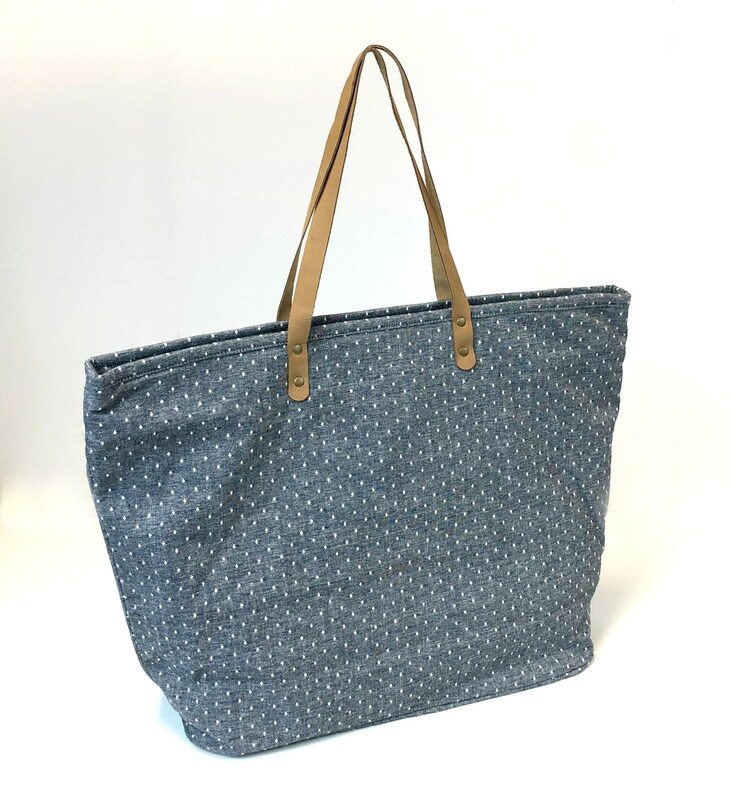 Small dots cover this twill tote with genuine leather shoulder straps. Zips closed at the top. There's one large self pocket inside. 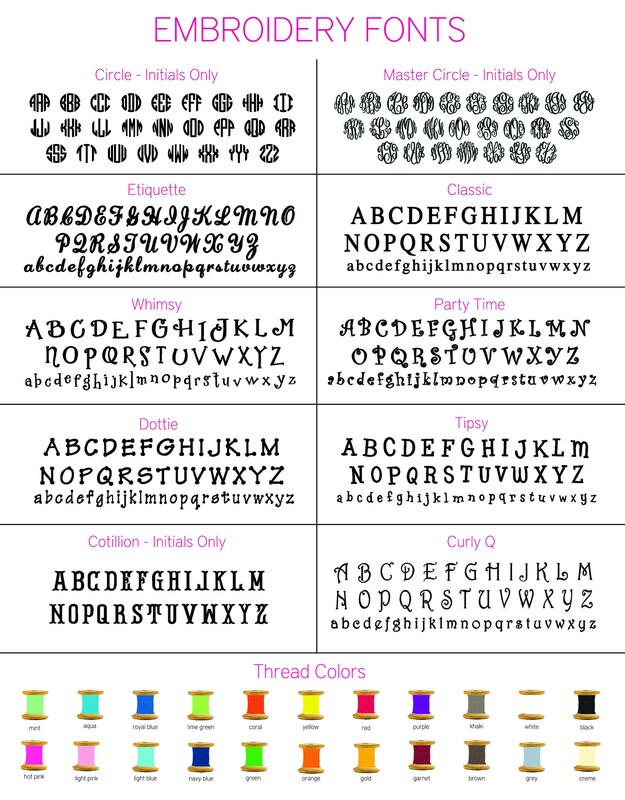 Monogram is included, so be sure to let me know how you'd like it personalized!